Global Forum has a strict peer review in its tax transparency mechanism across the world. Yet it has few challenges to overcome. The problem of black money stashed in tax havens (TH) has always been a serious issue for tax authorities across the world. Tax evaders were confident that their tax authorities could never get any information about their foreign assets from TH. There were several reasons for this. Powers of tax authorities are confined to their national borders. There was very limited cooperation among different tax authorities along with few legal tax treaties with TH for information exchange. Strict bank secrecy laws in TH. Black money is substantial part of their GDP. There was no universally accepted institutional mechanism to deal with this problem. To tackle this problem, the Global Forum on Transparency and Exchange of Information for Tax Purposes (Global Forum) was constituted in 2009. The aim of the Global Forum was to ensure that all countries fully implement the international standards on tax transparency and exchange of information (EOI). The Global Forum is the continuation of a forum which was created in the early 2000s in the context of the OECD’s work to address the risks to tax compliance posed by non-cooperative jurisdictions. The original members of the Global Forum consisted of OECD countries and jurisdictions that had agreed to implement transparency and exchange of information for tax purposes. The Global Forum was restructured in 2009 in response to the G20 call to strengthen implementation of these standards. The Global Forum now has 146 members. It also works to establish a level playing field, even for non-members. Global Forum has a technical assistance programme for its members. Every country is peer reviewed on these standards. After review, a rating is awarded in following category: Compliant, Largely Compliant, Partly Compliant or Non-Compliant. These standards require that tax information should be exchanged in case situation emerges to enforce the domestic laws of the requesting country. Global Forum has assigned ratings to 116 countries; the whole process has been very efficacious. India is a member of all three main working bodies of the Global Forum Steering Group, Peer Review Group (PRG) and AEOI Group. In fact, India is vice-chair of PRG and AEOI Group. The peer review process has led to elimination of bank secrecy in a large number of countries. At the start of the review process in 2016, there were 65 countries which had bank secrecy laws and so could not exchange banking information. This number has been reduced to a meager five countries at the end of 2016. Suppose country X has domestic bank secrecy laws which prohibit the sharing of banking information with other countries. As this is against the international standards, an adverse rating will be awarded to country X during peer review. International organizations such as World Bank and IMF do not grant assistance to a country if the rating is adverse. Hence, all global forum members are persuaded to increase their bilateral EOI relationships with all relevant countries. The Global Forum has been substantially successful in curbing the menace of tax evasion, however some challenges remain. It can only award an adverse rating and does not have the power to take direct action against any country in case of non-compliance of tax transparency standard. 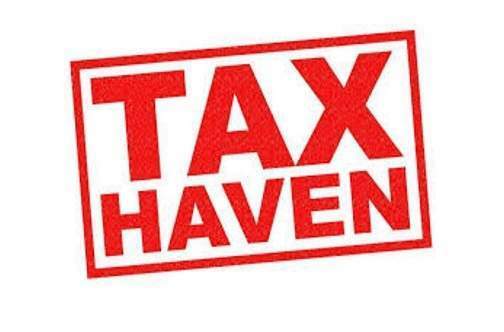 Tax evaders are inventing new techniques of evasion; due to its multilateral nature it is difficult for the Global Forum to target such evasions. Global Forum operates on the principle of “consensus” implying that all countries should agree. This provision leads to less than optimal decision-making while deciding complex tax issues. There are still countries which are outside the purview of Global Forum and are being used by tax evaders.